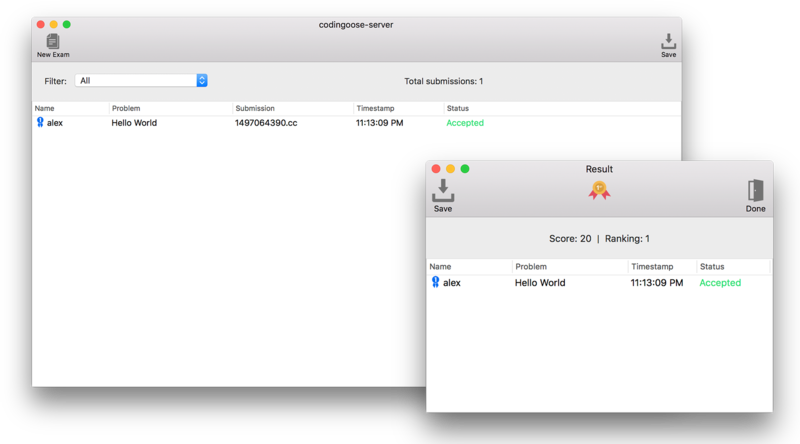 codingoose is a pair of apps consisting of a server and a client application. 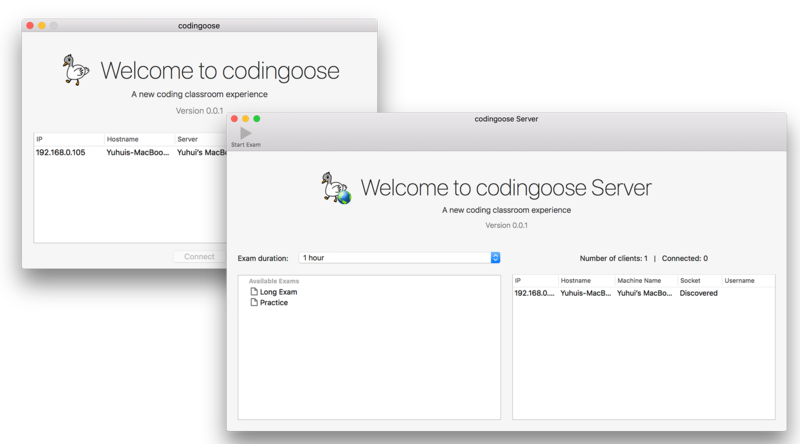 It enables instructors to easily set up coding sessions in a classroom setting. 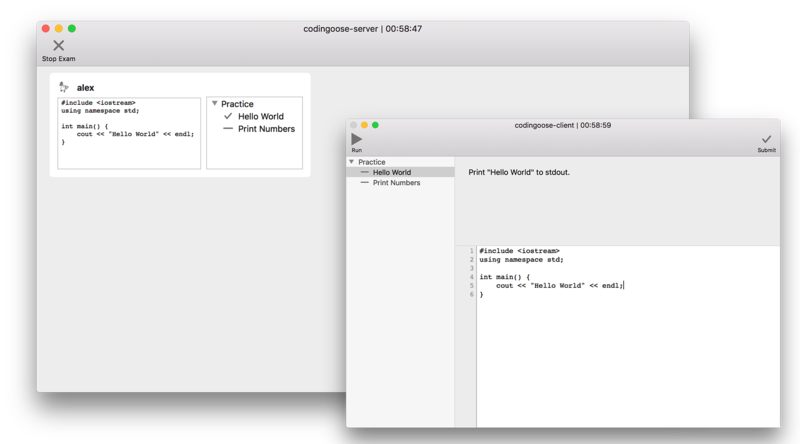 It is built entirely with Swift for the Mac platform, featuring an integrated C++ judge that has been built from ground up. Since this software will be used in a local setting, its communications are provided by socket, for which custom serializable classes are crafted for better transmissions of data. The client side mimics whiteboard coding, because all syntax highlighting and code hinting have been disabled in the custom input view. The code can be viewed in realtime on the server side, allowing instructors to gain an overall view of the progress of the entire class as well as individual students. After each session ends, the server compiles a detailed report for the instructor as well as students that lists various submission status and features a leaderboard. This information can be exported easily for use in other applications if needed.